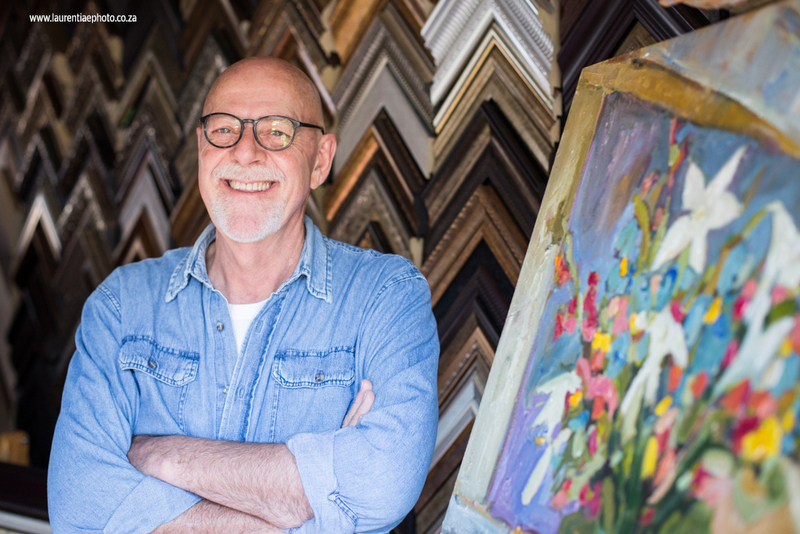 A while back I photographed Hartman van Lingen in his painting & framing studio. He's a gentle, warm hearted person and a true artist! Born 12 July 1959 in Zeerust, North Western Province. Went to Zeerust Primary and High School. How and when did your art career start? 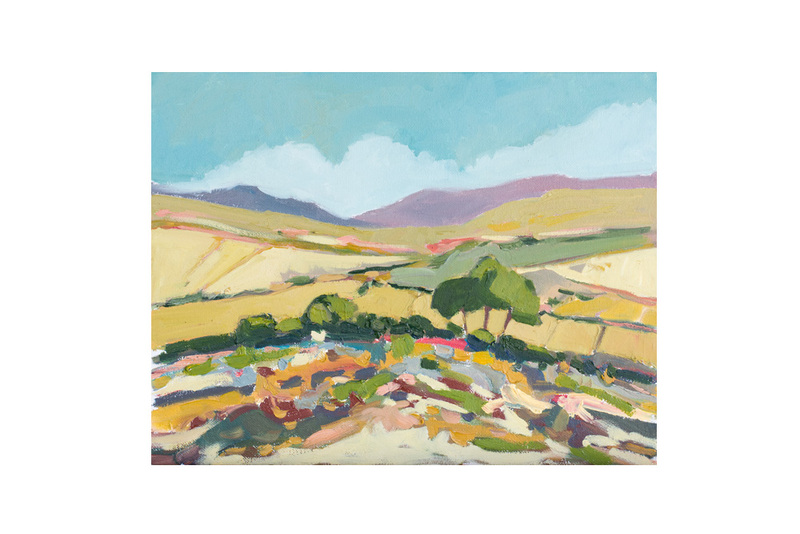 Art was formally introduced to me by my then English teacher – Linkie Lombard (now a known and established artist herself). Art was not lectured as a subject in the school I attended. I received art classes at Linkie's home. Every Friday was the highlight of my week. To me that was the best twenty Rand per month investment my parents ever could have made! At the age of thirteen I received my first easel and thought I was the cat's whiskers. That gift inspired me to paint. A lot of life happened since then and now but I never stopped painting. Like my faith and family; art was the third constant in my life. Through my trial-and-error-development the work of many artists inspired me. If I have to single out one artist's work it would be JH Pierneef. My work was influenced by the simplicity, truth and strong design in his work. It subconsciously slipped into my brush strokes. Which material/medium is your favourite? I work in oil paint though in early days I did a lot of watercolour paintings. In 1999 I had an exhibition in Holland. During this event a new world opened up to me. My visit to the Netherlands not only influenced my style, but changed my whole perception on art. 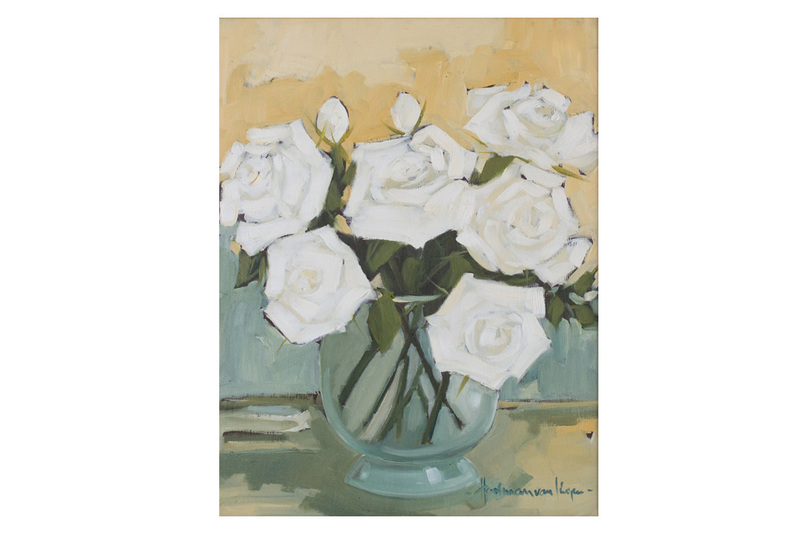 It made me opt for other subjects to paint and to interpret it in my own way. Since 2000 my work became more serious. On my return not only did I change my signature but also my perception of being an artist. Some people may think it romantic – think again. Believe me it is hard work! In general – I believe art is created with love and emotion. It is created to be enjoyed and passed on and be enjoyed and passed on. Diversification: Three years ago I had the opportunity to purchase a framing workshop to do my own framing. This escalated to another professional framer. Lately framing is done for clients as far as Mozambique, Southern Cape and Namibia. In 2013 work was even done for the Paris fashion week. My client-list consist of neighbours, family, friends, Embassies, Interior decorators, Blue Bull Supporters, plumbers, Pest Control Companies, Insurance Companies, Design Companies, Photographers, students and the mother In-law!